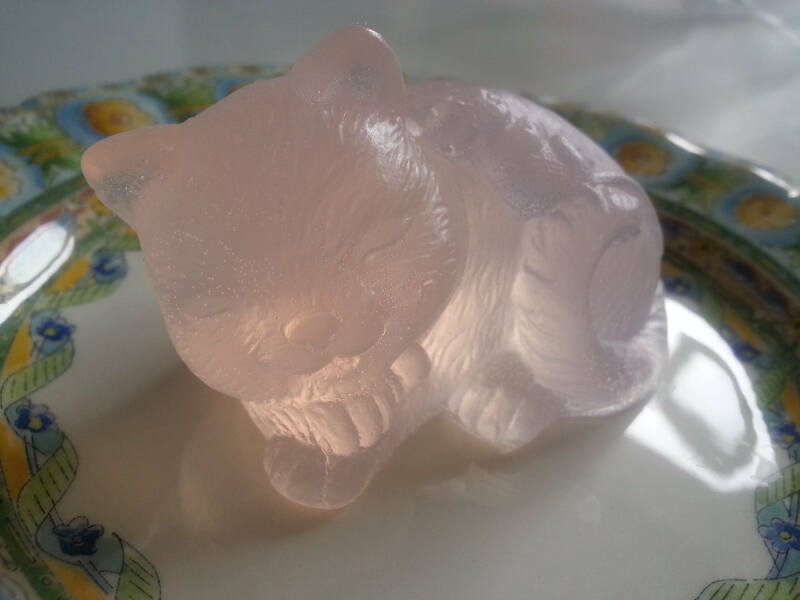 Looks like a glowing carving out of pink quartz...but it is a gorgeous soap! 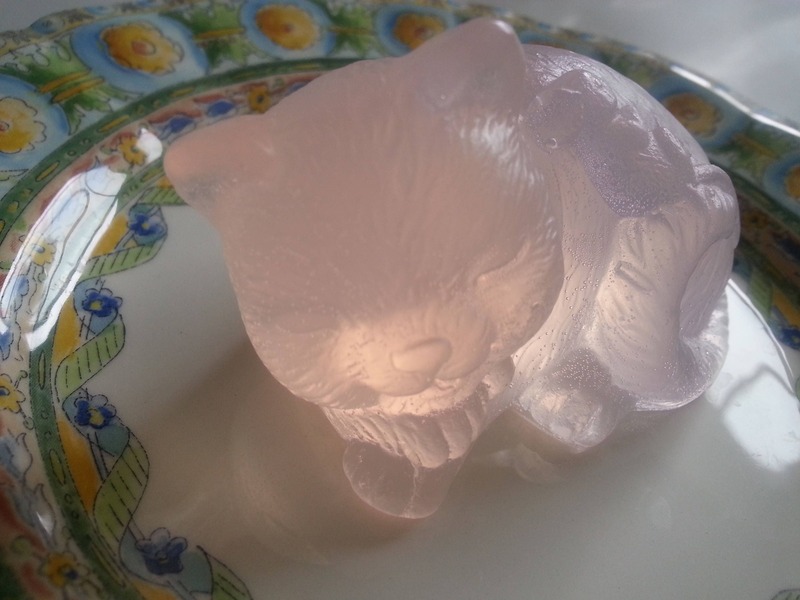 Individually crafted cat with mouse friend glycerin soap. 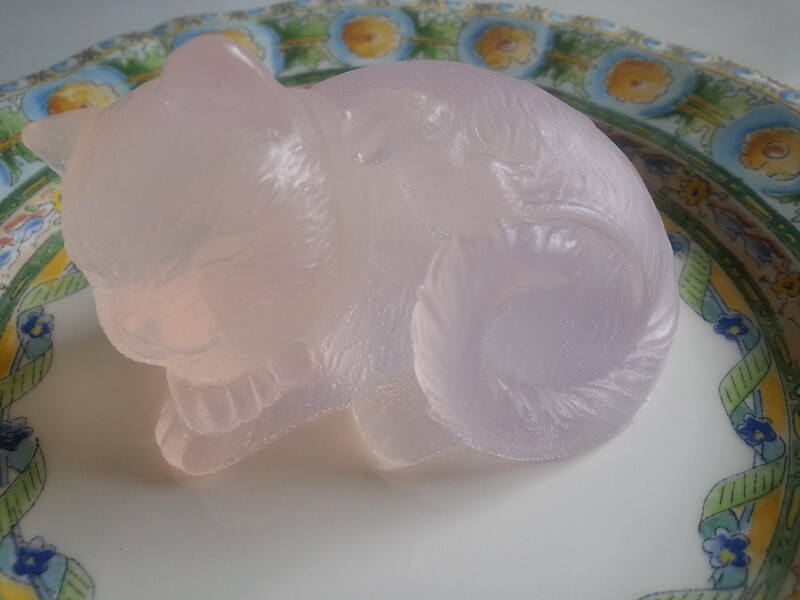 Scented with lavender essential oil. 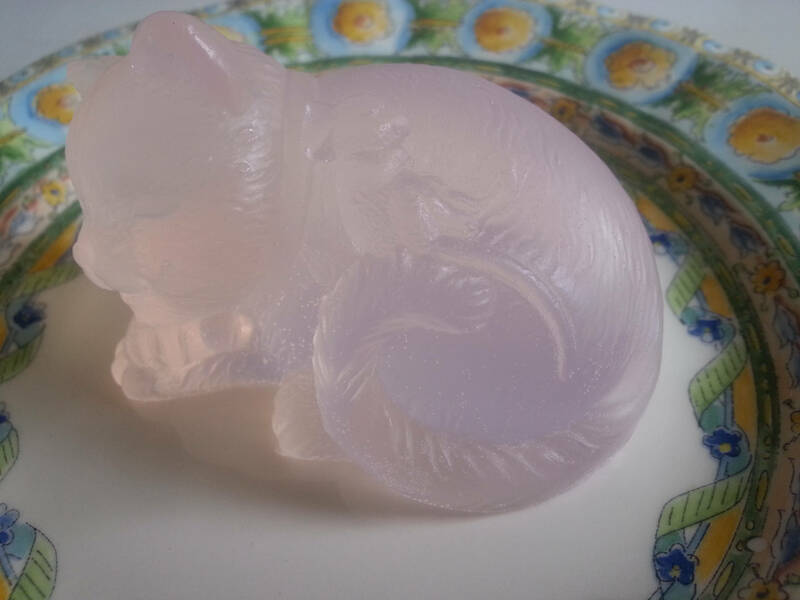 Ingredients: Coconut Oil, Palm Oil, Safflower Oil, Glycerine (kosher, of vegetable origin), Purified Water, Sodium Hydroxide (saponifying agent), Sorbitol, Propylene Glycol (made from vegetable glycerine), Sorbitan oleate (emulsifier), Oat protein, natural colorants, and lavender essential oil.